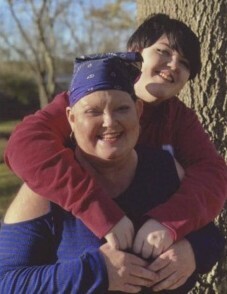 Mrs. Melissa Faye King White, age 48, of Lewisburg, TN, died Friday, April 5, 2019. Born in Williamson Co., TN, she was the daughter of William Thomas “Tommy” King who survives and the late Elizabeth Faye Hazelwood King. Mrs. White was formerly a custodian with the Marshall County School System. In addition to her mother, she was preceded in death by her husband, Gary Eugene White. Survived by her daughter, Lexi White of Lewisburg; her father and step-mother, Tommy and Alice King of Lewisburg; a brother, Tom (Jamie) King, Jr. of Columbia, TN; a nephew, Caleb King. Visitation will be from 11:00AM – 1:00PM, Monday, April 8, 2019 at Lawrence Funeral Home. A Funeral Service will follow visitation at 1:00PM Monday from the chapel of Lawrence Funeral Home. Burial will follow at Lone Oak Cemetery in Lewisburg, TN.